Ever wondered what it would be like to run a Street Food (hawker) stall in South East Asia? Now is your chance to find out! You have inherited your father’s char kway teow (fried noodles) stall and your goal is to bring prosperity back to the business. Throughout your street food journey, you’ll travel to different locations such as Malaysia, Singapore, and Hong Kong. Each with their own unique stalls to acquire and play with. 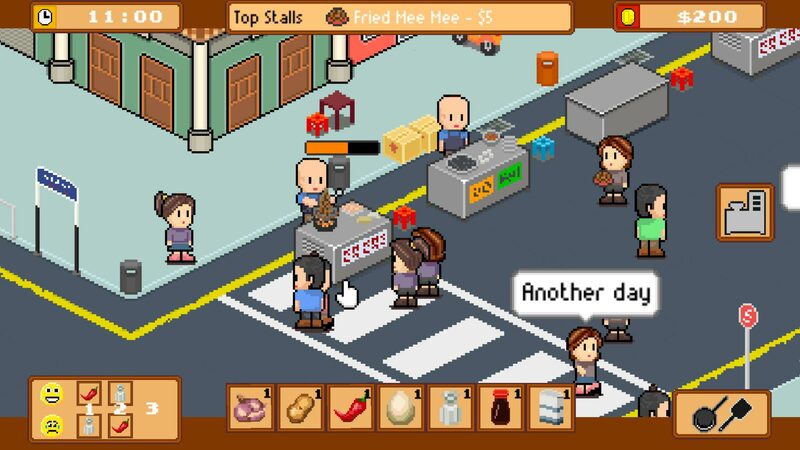 Street Food South East Asia is a simple food tycoon simulation game with RPG upgrade elements and only requires basic interaction to keep the stall up and running. 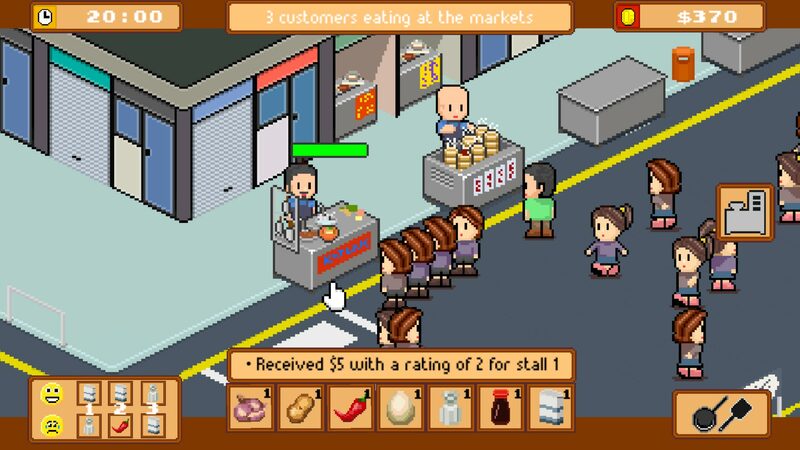 Along your journey, you’ll set out to expand your hawker stall empire, pick up gifts, serve up spicy dishes, earn a Michelin Star, become a celebrity chef, not make your customers sick and become the Street Food tycoon. 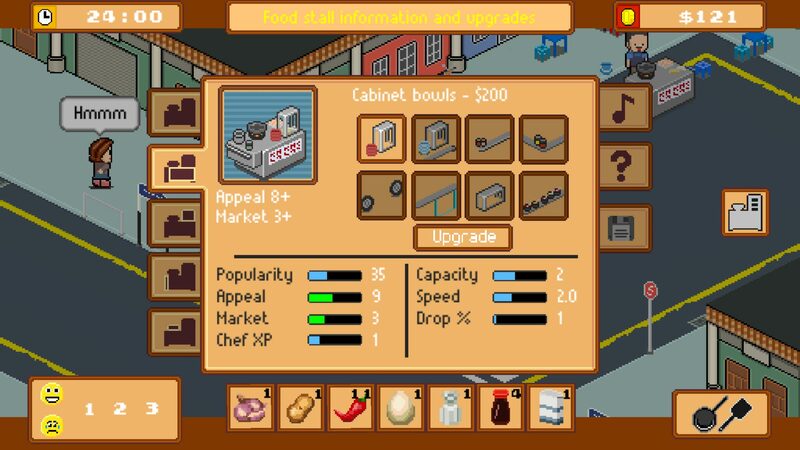 You start off with a single stall and from there you build up your money stash by cooking and serving your customers using the stall’s action button. Optionally before deciding to prep your dish, you can select individual ingredients from your inventory to enhance the dish’s flavor. Remember to pick the correct ingredients讀 for your dish to earn more money per dish and a higher popularity rating from your customers. To initiate the prep/cook process, when a customer is in line you need to touch the stall’s action button, then once it’s ready to be served you will need to touch the button again. Each stall has a front, top and side upgrade component. Remember to upgrade early and select which upgrade attribute suits your playing style. I like to go the capacity upgrade route early on which allows you to store more prep/cooked dishes. At the end of the day you’ll see a graph on how your stall performed and at the beginning of each day, the Market Place Mini-Game will take place. You will need to select the ingredients you require in a limited amount of moves and time. Be careful as selecting individual items will cause all the items to shuffle. * More levels and new stalls coming soon! Tomosan Studios is an Indie-Dev from Australia and was founded in 2014. 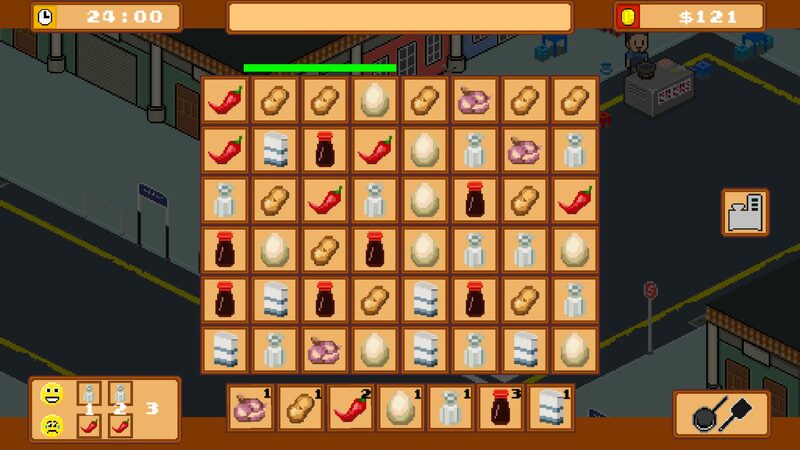 Our goal is to create a range of 2D byte-size games that are a bit different from the crowd and with Street Food South East Asia we wanted to make something a bit bigger than our usual games and something more unique to bring to the market. Facebook and Twitter for insight on future releases! This article was Published by Edamame Reviews, Written by Tomosan Studios.